Robert is Board Certified in Consumer and Commercial Law by the Texas Board of Legal Specialization. More than any other specialization, this one requires a broad knowledge of civil law. 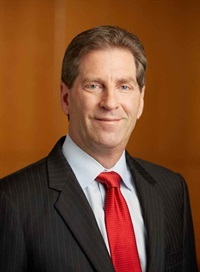 A 1980 graduate of the University of Texas School of Law, Robert began his undergraduate work at Southern Methodist University and earned a degree in economics at the Wharton School of Business at the University of Pennsylvania. He was associated with two Dallas law firms before joining Randy Johnston in a litigation practice in 1987. Perhaps Robert’s best recommendation is the testimonial he received from a client who was defrauded by an investment company until Robert made it right.